Why do you need Latvian translation services? Latvian may not be as widely-spoken as other European languages, but Latvia may turn out to be a true leader in many sectors, including green technology. Economically, Latvia is rated as a high-income country and a developed nation. It is a member of the World Trade Organization, and has several prosperous economic sectors that keep it fairly stable. The amazing forests of Latvia have long helped it develop an excellent woodworking and lumber industry, while a strong focus on green technology has helped to keep the natural balance of things and make a good global impression. Its geographical position as a bridge between Russia and the rest of Europe means that transport and storage of goods are important to the Latvian economy as well. Other prominent sectors include information technology, metalworking, mechanical engineering, and food processing. Latvian is a Baltic language in the Indo-European language family, whose closest linguistic relative is Lithuanian. Around 1.3 million people speak it in Latvia, and 100,000 more speak it outside of the country. This means around 80% of the population of Latvia speaks Latvian. 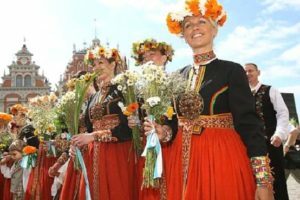 With a high immigrant population, about 25% of the Latvian population speaks Latvian as a second language, as fluency is required for many careers. Latvian experienced heavy German influence up until the 1800s, which was followed by a period of “purification” of the language. Afterwards, the Soviet occupation of Latvia meant “Russification” was inevitable. Today there are three main dialects of Latvian: Livonian, High Latvian, and Middle. 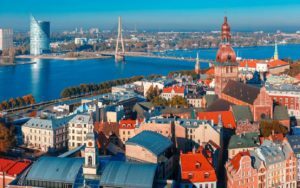 As with any language that has multiple dialects, you must take care to ensure your Latvian translations are accurate for the specific market you are targeting. At Alpha Omega Translations we have Latvian translators who work exclusively with their native dialect of the language to ensure your translations make sense for the culture. Get Started with Latvian translation services today!